Baltic Lashes® classic is a course for beginners who want to learn the basics of individual (classic) eyelash extension. This program has been developed that beginner could start a career with skills that differentiate him/her from the competition. Baltic lashes® classic eyelash extension course will help you increase your knowledge, skills, confidence and business growth from the start. Moreover, it will cover the theory and practice which is necessary to make perfect eyelash extensions. An eyelash extension business is also ideal for students attending colleges and universities and stay at home moms who would like to have extra income and work on their own schedule. Allergies to tiny products; Adhesives and solvents; Fever; Contagious or infectious diseases; Drugs / Alkohol; Diarrhea and vomiting; Any know allergies; Eczema; Undiagnosed lumps and bumps; Inflammation; Cuts; Bruises; Abrasions; Sinusitis; Migraine or headache; Hypersensitive skin; Botox and dermal fillers (one week following treatment); Skin allergies. Demonstration of technical application and student’s practice on mannequin head with master help. Live procedure (half of group does a procedure, half watch). You have to bring your own model. This is required to get the certificate of attendance. Discussion of training, answers to questions, issuing of certificates, awards of best student. Certificate of attendance. Adding students to Baltic Lashes® facebook group. After completing the course, it is required to present 5 full sets of eyelash extensions on different models, photo from different angles and description of products used. These will be reviewed by the teacher before issuing the final certificate. Time period – 6 months. Teachers support – 6 months. Professional kit which includes all the necessary tools for beginner. Continuous support of our Master during and after the cource (6 months). You can start your new career with professional knowledge with the help of the theory part. Do I have to be already trained to study classic eyelash extension training? 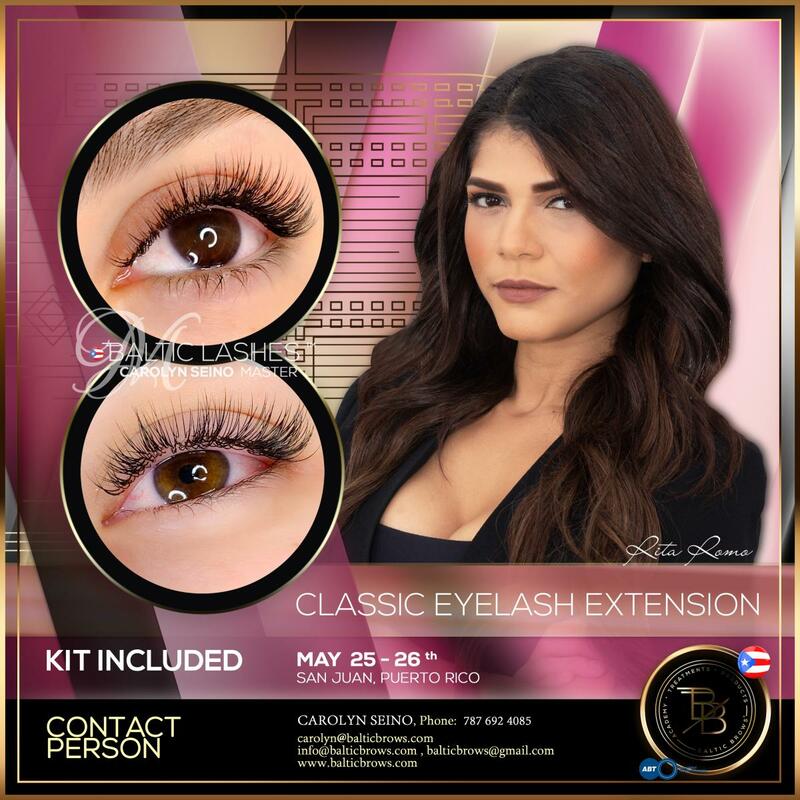 - No, you do not have to be trained before in any eyelash extension training but of course, this training can attend anyone who has already basic knowledges but want increase his / her knowledge, skills, confidence and business growth.